Comes with two lots! 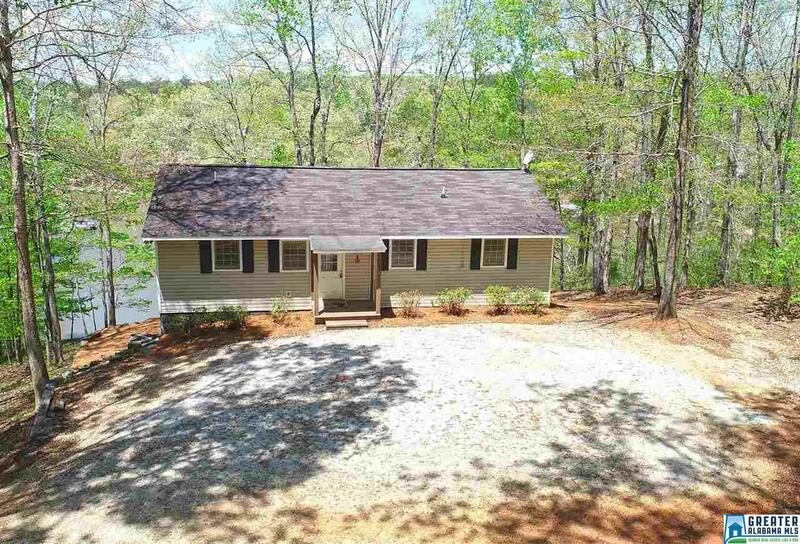 This 4 bedroom/3 bathroom Lake Wedowee home is being sold with two lots equaling 2.43 acres and 299 feet of water frontage! When you walk in the front door you see the open living space. The kitchen has a good amount of storage space and a large island/bar. The kitchen is open to the living/dining area. The living room is spacious with lake views and a fireplace. There are 2 master bedrooms on the main level, each having their own bathroom! Off of the main level there is a screened in deck that is the perfect place to kick back and enjoy the views of the lake! The terrace level has 2 more additional bedrooms, a full bathroom and a living area that is the perfect spot for a game room! Off the terrace level there is a HUGE deck that is perfect for entertaining friends and family. There is a gentle walk down the steps to the water, and a floating dock already in place. Driving Directions: From Wedowee: Take Hwy 431 North, Turn Left On Co Rd 82, Turn Right On Pointe S Drive, Turn Right On East Ridge Dr. Sign Up.